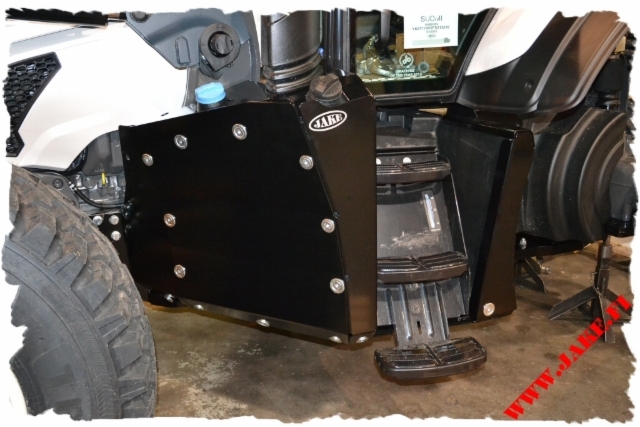 The JAKE Armour (JPPT4) for Valtra T4-series protects the whole basis of the cabin, including armours for the battery box, fuel tank, AdBlue tank, front axle cardan and possibly existing air tanks. 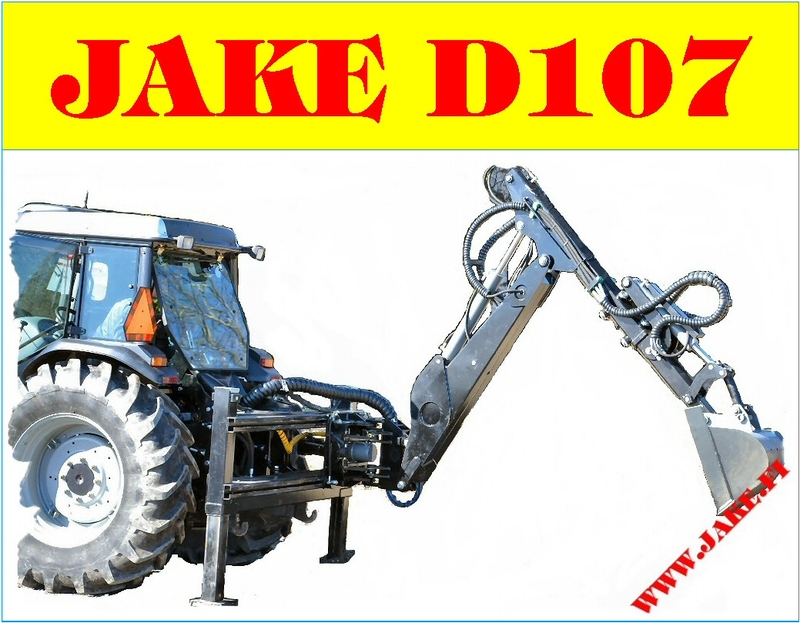 The JAKE Armour is available for a tractor with a 380-litre fuel tank. 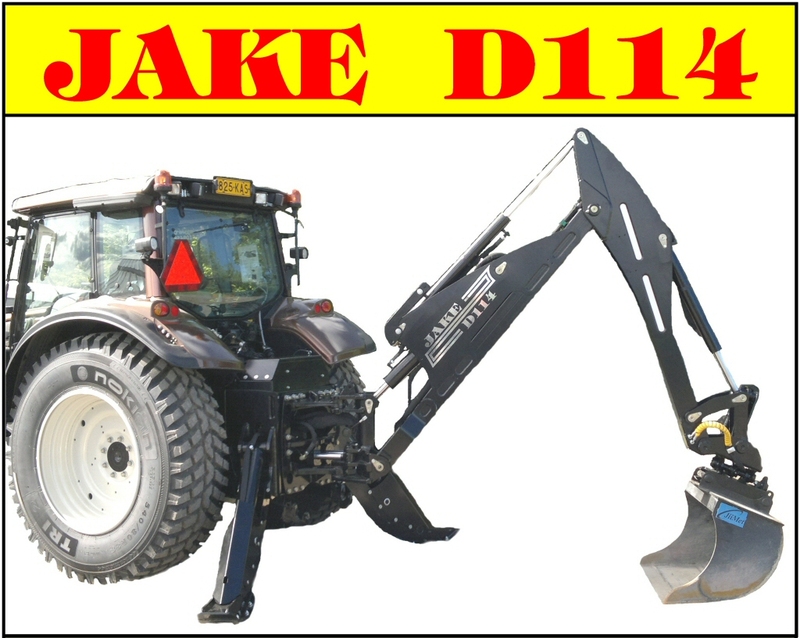 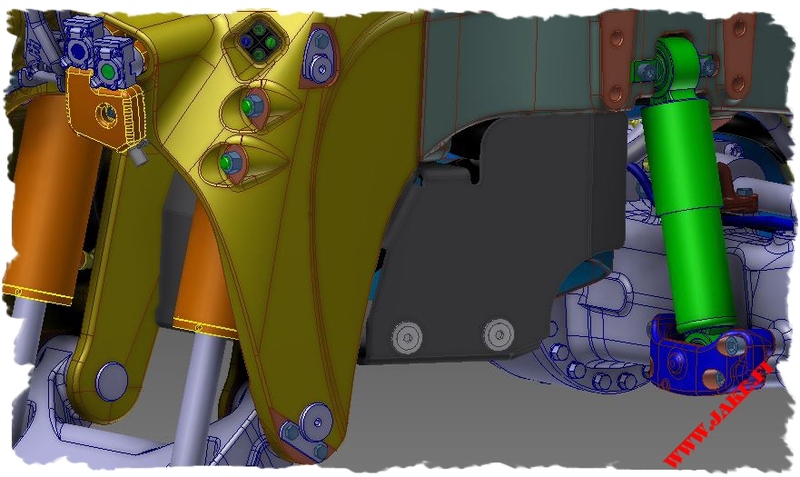 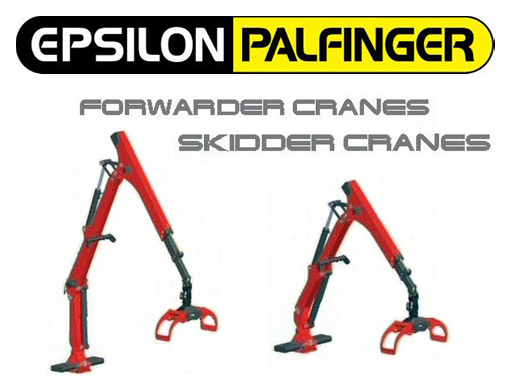 The JAKE Armour is mounted to the JAKE Aid Frame, so if the tractor is not equipped with the JAKE Mounting Kit, the Armour must be ordered together with the Aid Frame (JPPT4AR). 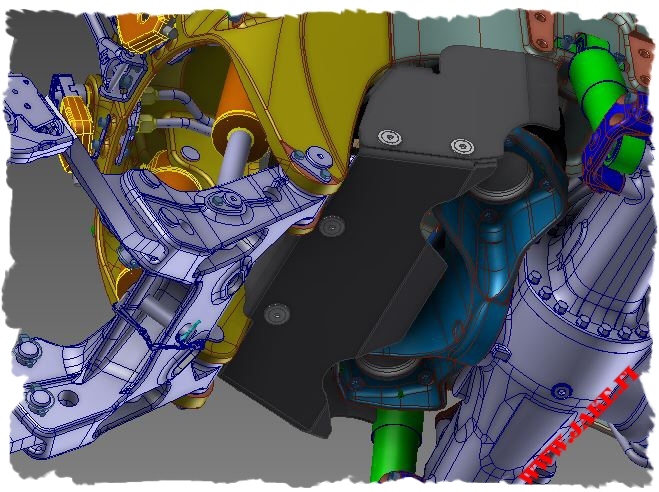 JAKE Front Suspension Armour (JFSP) protects the suspension elements (airbags) and the basis of the front frame/linkage. 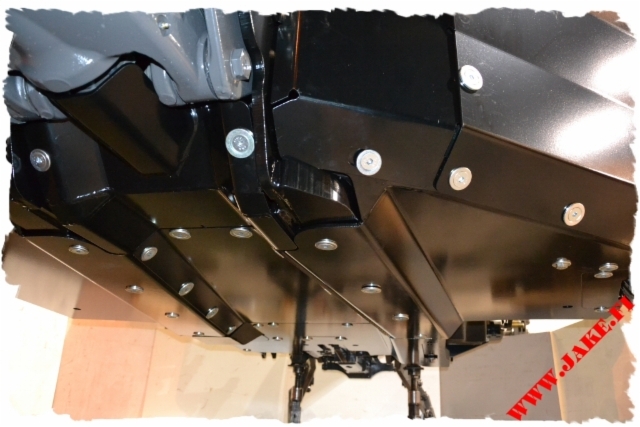 The armour is available for a tractor with or without front loader, front linkage, and front PTO.